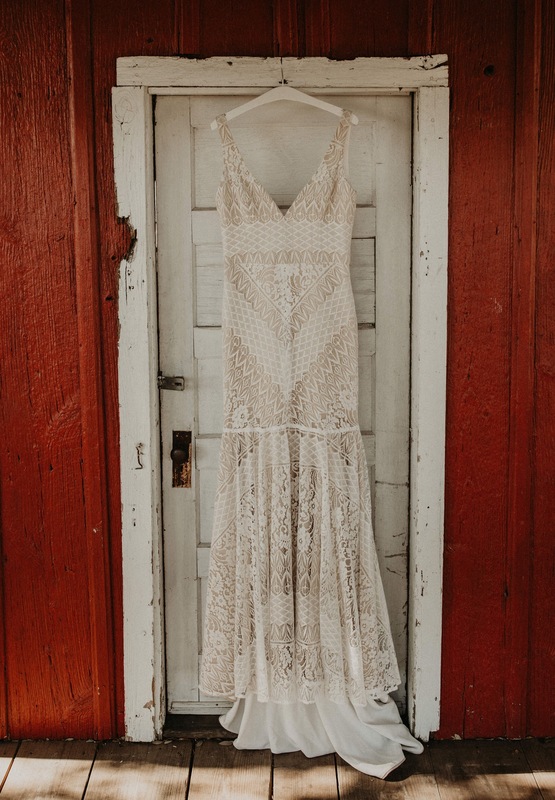 This western-boho inspiration shoot takes the rustic Texas wedding to new levels of chic. Using vintage furniture, boldly colored décor, and a neutral floral palette to merge a more classic style with the western aspects of the fabulous Star Hill Ranch. The wooden arch and sweetheart chairs were dressed up with pampass grass and a variety of textured flowers that were absolutely to die for! Blues, browns and oranges were the main colors of focus for this photo shoot and were purposefully tied in to every aspect. The dining table set up was dressed with vintage china, indigo mud cloth, apothecary jars and stained-glass menus. All of which matched the rich blue of the grooms suit and the brides hat.